Lot Detail - Broadside, Cumberland Nurseries, Pennsylvania. 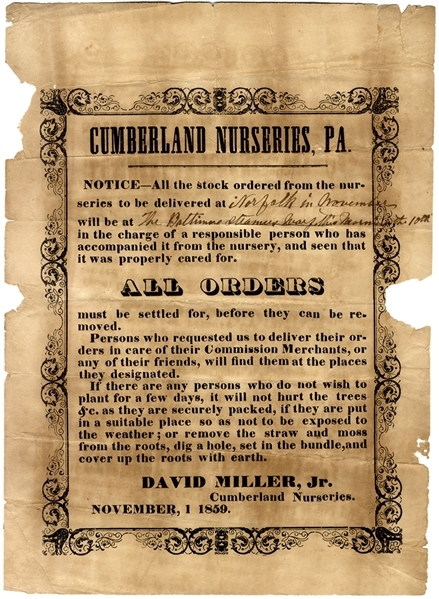 Broadside, “CUMBERLAND NURSERIES, PA.” 9-1/4”x13”, November 1, 1859, with ink manuscript stating the delivery will be in Norfolk at the Baltimore Steamers Wharf. Some loss, else very good condition.